Are you looking for a cute Valentine’s Day craft for kids as an alternative to traditional cards? These DIY Treat Poppers are fun and easy to make. 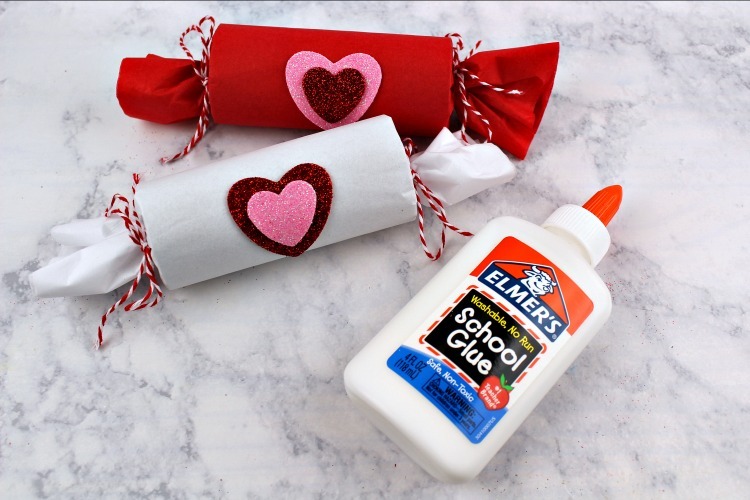 I love fun Valentine’s Day crafts for kids. There are so many options, and my girls love upcycling everything around them. Typically, I use our toilet paper rolls to make fire starters, but we have more than I need, so we wanted to use them for something fun. These treat poppers were inspired by our New Year’s Eve Party Poppers. Instead of confetti, you can fill them with candy, toys and other treats. You can choose organic candy for a better option, or you can pick up some simple party favors and candy at your local dollar store. This Valentine’s Day kids craft is simple enough for preschool aged kids, but can be fun for older kids too. Just tailor what you fill them with to the appropriate age level and everyone will be happy. 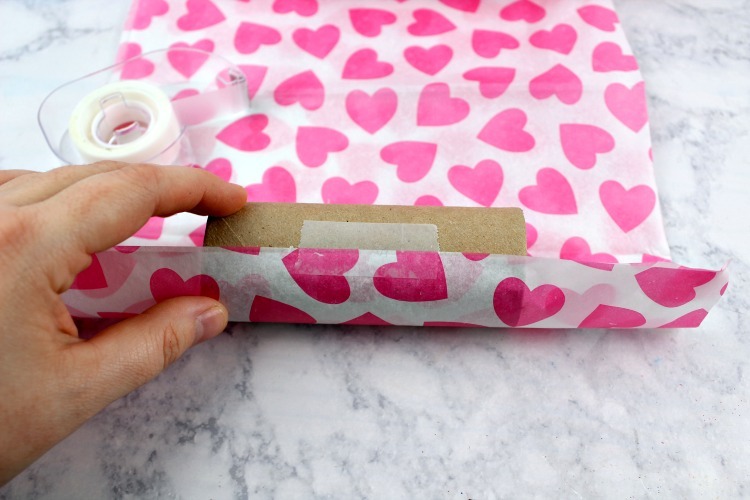 Fold the tissue paper in half lengthwise, then cut a piece that’s approximately 10-12″ long. Place a toilet paper tube on top of the tissue paper and tape it into place. 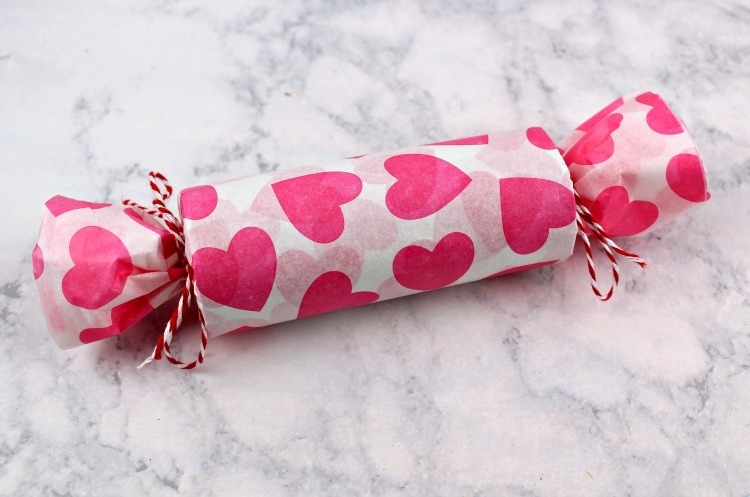 If you’ll be gifting these Valentine’s Day Treat Poppers to younger children, it can make it easier for them to “pop” them if you cut the toilet paper tube in half before covering it in tissue paper. 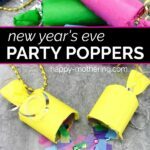 See my New Year’s Eve Party Poppers Tutorial for images on how to do this. Roll the toilet paper tube up completely in the tissue paper, then use a small piece of tape to secure the tissue paper in place. Use baker’s twine to tie off one end of the tissue paper. 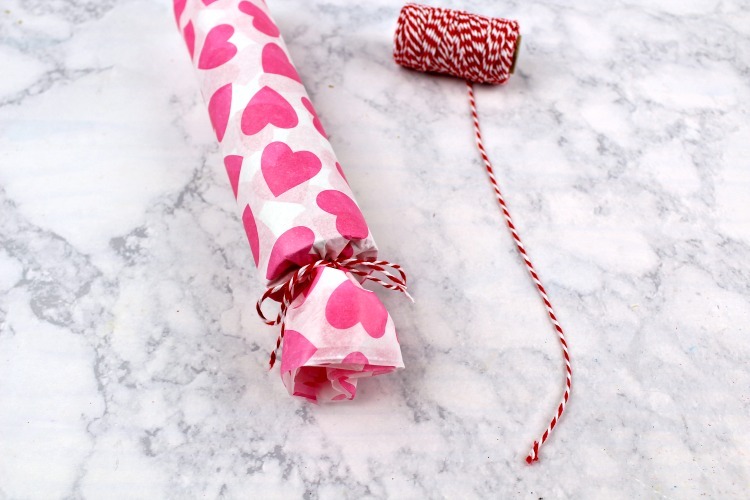 Fill the toilet paper tube with cute party favors and candy! Tie off the other end of the tissue paper covering the toilet paper tube with baker’s twine. 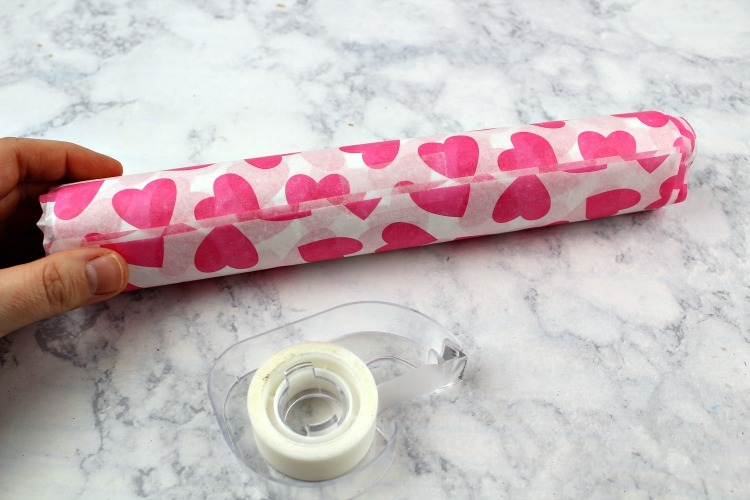 Decorate the front of the tube with heart shapes or stickers. 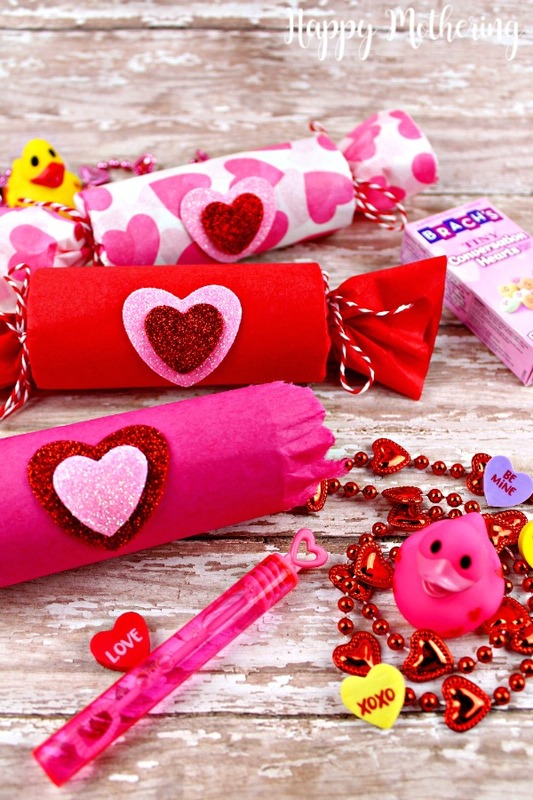 These make perfect gifts for your child’s classmates for Valentine’s Day! 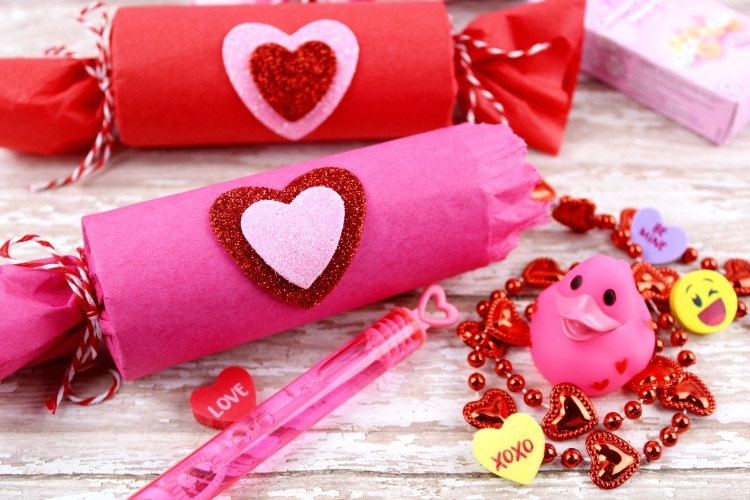 Let us know what you filled your Kids Valentine’s Day Treat Poppers with in the comments below! My daughter would love this type of Valentine. Love it! This is such a fun idea! Who doesn’t love a popper!? Thank you for sharing with Merry Monday. I’ll be featuring your Valentine’s poppers at our upcoming party. Hope to see you again next week!